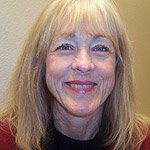 Carol is CNVC Certified Trainer as well as a staff minister at the Center for Spiritual Living, Santa Rosa, California. Carol not only offers NVC instruction to the public, but has also helped create and offer classes in both Sonoma County Jail and San Quentin Prison. Carol says that it was the transformation of her relationship with her elderly mother that inspired her to want to share NVC with others as a way to heal pain and create a quality of connection she had only dreamed about. By fostering the growth of communication based on NVC, first in ourselves, then with each other and eventually the world, Carol's vision is world peace. Her interest is to put NVC principles into daily practice by offering training through workshops, practice and/or study groups, individual counseling and mediation.